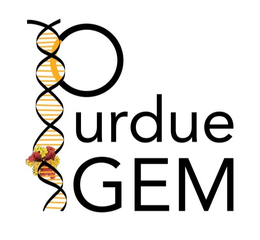 This year at Purdue, our goal is to make a bacterial UV sensor for commercial application. By exploiting existing E. coli DNA repair pathways (photoreactivation and SOS); we want to eventually create a “patch” that will change colors as UV exposure increases. Thus, one would be able to test when new sunscreen needs to be applied based on actual DNA damage. Other applications could include Bacterial “tattoos” that only show up in the sun, color-changing T-shirts, etc. Biologically, we are planning to attach the phr (photoreactivation) promoter to a gene creating some kind of red color, such as RFP, prodigiosin or LacYZ on MacConkey agar. As a result, as pyrimidine dimers are formed, the natural photoreactivation pathway will be activated by the bacteria and red color will develop alongside natural DNA repair. Once more severe DNA damage occurs, the E. coli will naturally switch over to the well-documented SOS (recA) pathway. By combining the promoter for this pathway (a part used by Bangalore in 2006) with the lacZ gene and plating on X-gal, severe UV damage will make beta-galactosidase which will cleave X-gal which will create a blue pigment. Thus, our device will slowly turn red and eventually blue as the DNA damage resulting from UV radiation increases.